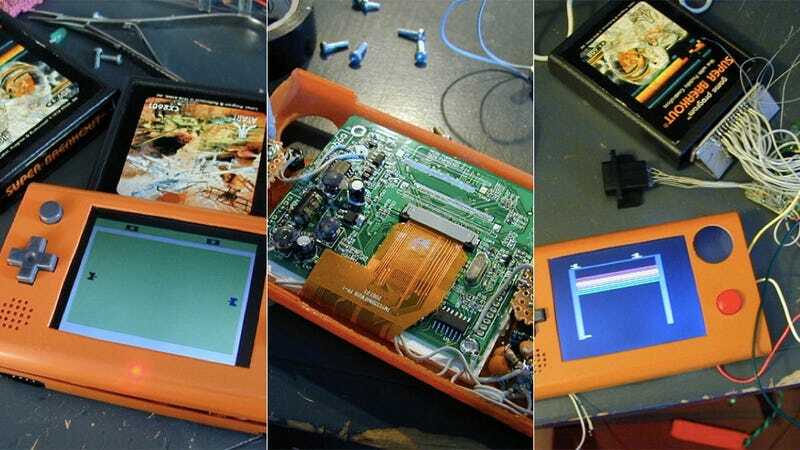 These days, GameCube and PlayStation portable mods are a dime a dozen, it seems, so it's rather quite refreshing to see the craft applied to their "grandfather," the Atari 2600. This one was created by "Mario" and covers all the bases: Built in joystick and red button; original carts or a built-in Flashback 2 for games; and a 9-pin port for a Player 2 joystick. The action is presented in all its basic, pixelated glory on a 3.5-inch LCD screen.